The ex-England striker was Newcastle United’s U23s coach at the time. 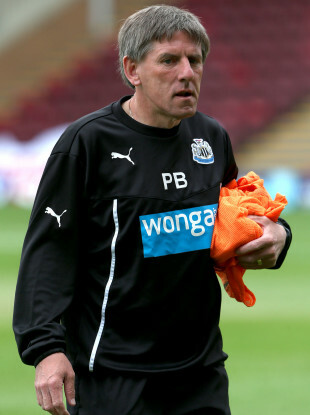 Beardsley left Newcastle earlier this month. THE FOOTBALL ASSOCIATION (FA) has charged Peter Beardsley with three counts of using racist language. A former England international, the 58-year-old left his post as Newcastle United U23s coach earlier this month — having been on “a period of leave” since January 2018. That followed allegations of racism and bullying by a then 22-year-old midfielder, Yasin Ben El-Mhanni, who was also backed by his team-mates when making a formal complaint. Beardsley has strongly denied the claims and Newcastle never reported any wrongdoing, despite launching an internal investigation 14 months ago. However, the FA subsequently revealed that they were looking into the matter and has he has now been found to have made breaches of FA Rule E3 — relating to the use of racist language. “It is alleged Mr Beardsley used abusive and/or insulting words towards Newcastle United FC Under 23 players, which were contrary to FA Rule E3(1), whilst employed as their coach,” the FA statement reads. Beardsley has been given until Friday, 12 April to provide a response. Email “Peter Beardsley charged with three counts of racism by the FA”. Feedback on “Peter Beardsley charged with three counts of racism by the FA”.